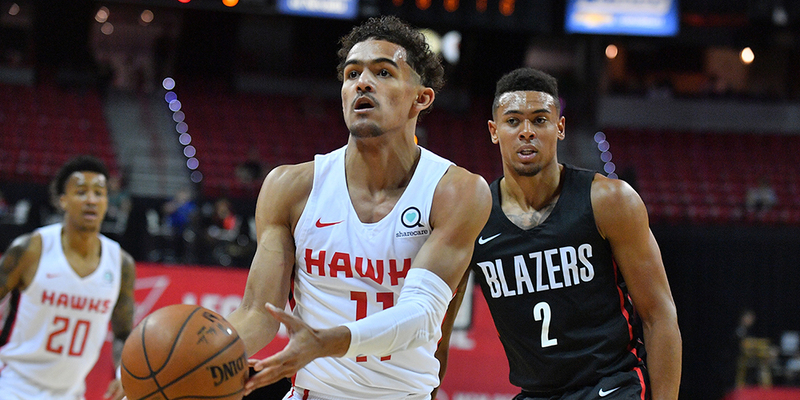 Trae Young gained attention with his shooting and scoring, but his Summer League play suggests that we should have been focusing on his passing all along. Coming out of high school, the Recruiting Services Consensus Index (RSCI) ranked Trae Young as the 20th best player in the class of 2017 — not usually one-and-done material. But Young’s play at Oklahoma captured national attention, in large part because of his scoring: in Young’s first month-and-a-half of play he averaged 30 points per game and vaulted himself into the conversation for the top few picks in the 2018 draft. That volume of points, combined with the long range bombs he was launching with regularity, distracted from another aspect of his game that deserved more attention: his passing.